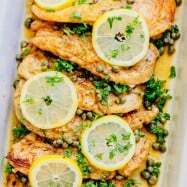 This Lemon and White Wine Chicken Recipe is hands-down-best staple on our table. 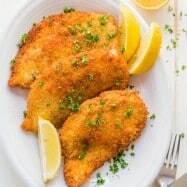 This dish is very easy to make and will keep you going for more. 1. 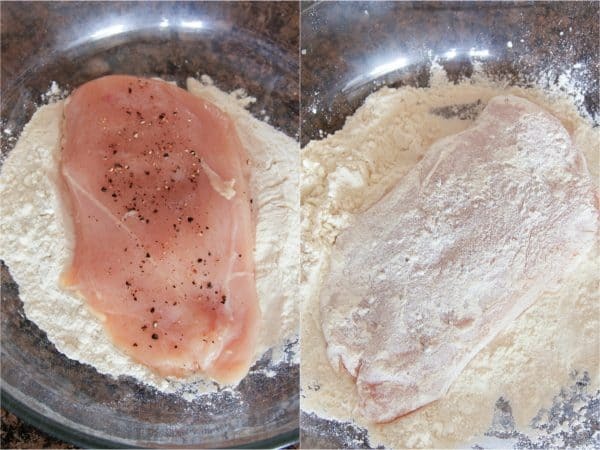 Cut the chicken breasts in half so they are half as thick and sprinkle it with salt and paper. 2. Add flour to flat-bottomed medium dish. Dredge, or coat the chicken with the flour. Use just enough flour to coat and tap off extra. 3. Heat 2 Tbsp butter and 2 Tbsp olive oil in a large skillet over medium/high heat until the butter begins to sizzle. Add 1/2 of the chicken and Saute for about 2-4 minutes per side (depending on the thickness of your chicken). Remove chicken to a serving platter. Add more butter and olive oil to the pan and repeat with the second batch of chicken. 4. 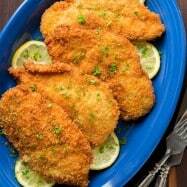 In the same skillet, without reducing the heat, add 1/2 cup wine, 1 Tbsp butter and lemon juice. Stir for about 3 minutes. Sauce will slightly thicken. 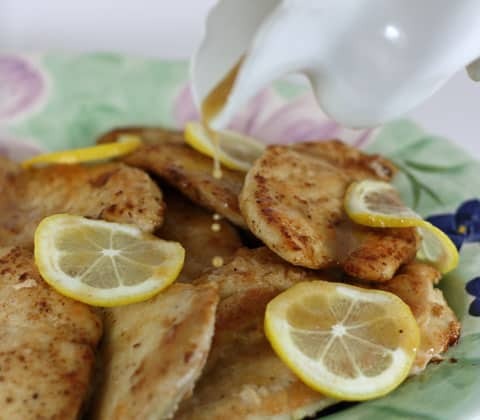 Pour the sauce over the chicken just before serving and garnish with lemon slices. 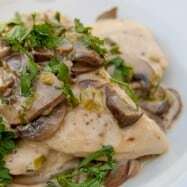 An easy lemon chicken recipe with a simple lemon white wine sauce. 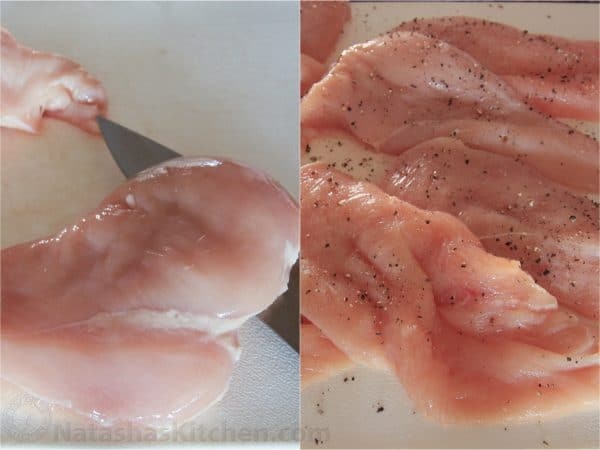 Cut the chicken breasts in half so they are half as thick and sprinkle it with salt and paper. Add 1/2 cup of flour to flat-bottomed medium dish. Dredge, or coat the chicken with the flour. Use just enough flour to coat and tap off extra. Heat 2 Tbsp of butter and 2 Tbsp of olive oil in a large skillet over medium/high heat until the butter begins to sizzle. Add 1/2 of the chicken and Saute for about 2-4 minutes per side (depending on the thickness of your chicken). 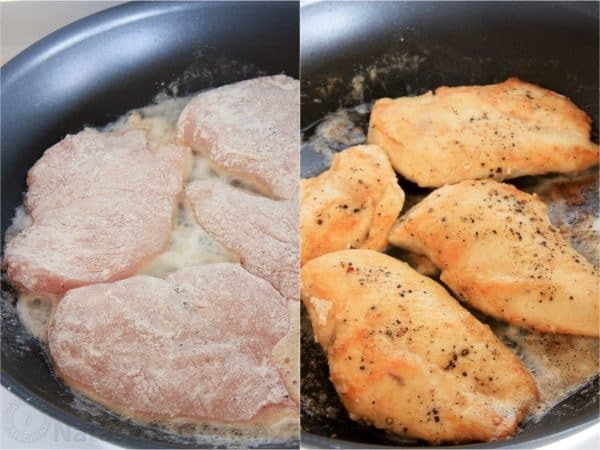 Remove chicken to a serving platter. Add 1 Tbsp butter and 1 Tbsp olive oil to the pan and repeat with the second batch of chicken. In the same skillet, without reducing the heat, add 1/2 cup wine, 1 Tbsp of butter and lemon juice. Stir for about 3 minutes. Sauce will slightly thicken. 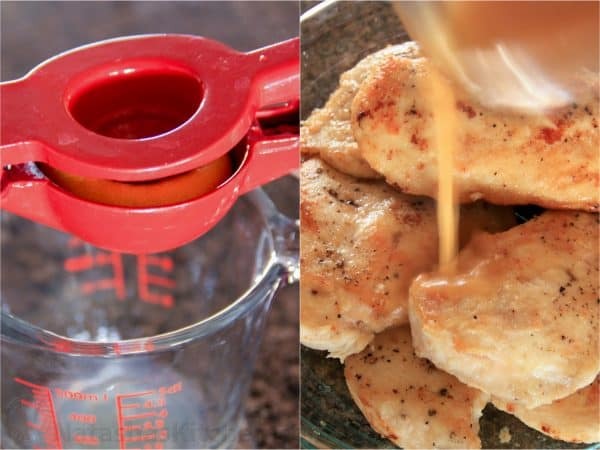 Pour the sauce over the chicken just before serving. Garnish with lemon slices. 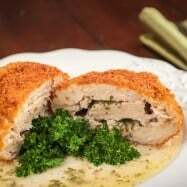 Just recipe I was looking for! 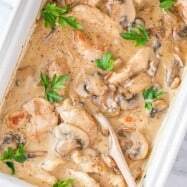 Is there an oil that can be used instead of butter to make this recipe (and all other recipes on your site)dairy free?